Be the first who play the newest games! 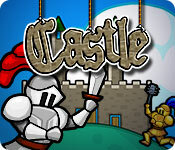 Build a castle and protect it from the baddies! Clever and captivating match-3 with a twist! © 2007 - 2012, Big Fish Games, Inc.